God has blessed me with the gift of cooking, and this is something that I'm proud of. I never went to cooking school, so I hope this inspires you that being a great cook is possible, and you don't need a certificated cooking certificate to feel good in the kitchen, anything is possible if you press forward. Stay Beautiful, and blessed always. Yum!That is fantastic Danielle. I love what you said about pushing forward. Everything is possible with God, but God is always waiting on us to have faith to pursue our goals. 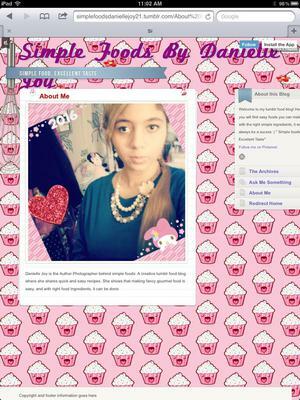 Keep thriving with your cooking blog!